This is the intake flow accelerator service part for the TRD performance air intake system. When you select a genuine Toyota product - you can rely on the high quality and effectiveness of the product and brand without having to guess if the product will work in sequence with your vehicle. Protecting your investment is important and choosing the product can be challenging. So don't risk another minute by searching and buying something that might work. Stick with what you know and choose a genuine OEM Toyota product. 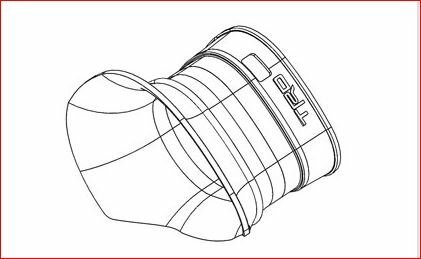 3 Inch Black Exhaust Tip, AUTOSAVER88 Universal 3" Inside Diameter Diesel Exhaust Tailpipe Tip for Truck, 3 x 5 x 12 Bolt/Clamp On Design.